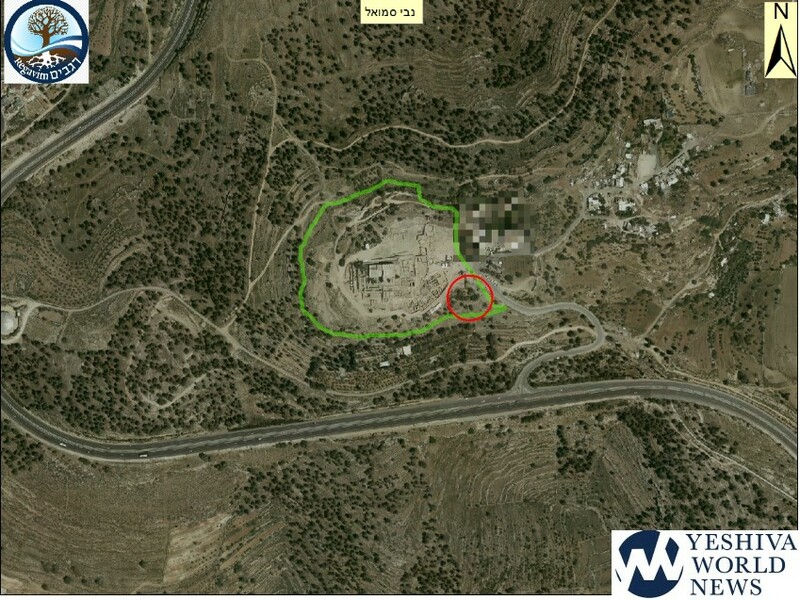 Arabs from the village of Nabi Samuel invaded the archaeological site of Kever Shmuel HaNavi and began preparing a new illegal parking lot to collect payment from the visitors. “This is a national park and a holy place, the work must be stopped urgently,” say Regavim officials. The Tziyun of Shmuel HaNavi, located near Givat Ze’ev, is one of the sites sacred to the three religions, and each year hundreds of thousands of mispallalim and visitors visit it. The Nabi Samuel compound is a national park, which contains many antiquities from the Bayis Sheni period, as well as an ancient oak grove. 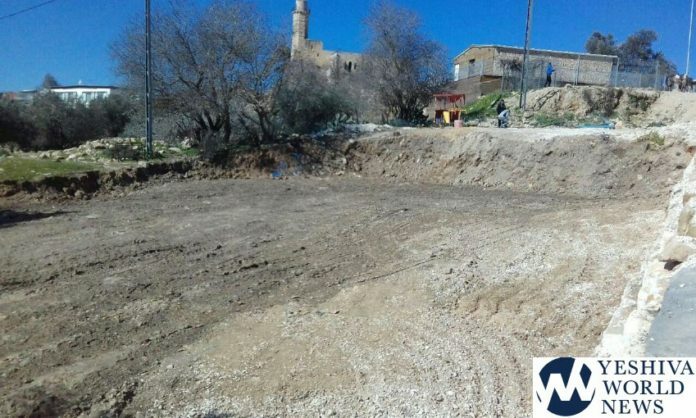 Recently, residents of the village of Nabi Samuel broke into the archeological park, and using a tractor they prepared a plot, apparently for the purpose of erecting a parking lot for profit. The place is under full control of the State of Israel and adjacent to Givat Ze’ev on one side and the Ramot neighborhood in Jerusalem on the other. From the top of the mountain one can see all of Jerusalem. Throughout history, there have been findings documenting the Jewish settlement in the area, from the Bayis Rishon period and the Hasmonean period to the modern era. The Regavim movement, which works to protect state land and fight against illegal construction, documented the works that were carried out there without any permit and contrary to any law, and rushed to the Civil Administration responsible for enforcing the law in order to stop the work immediately. “The administration and the state must do everything in their power to stop the construction of the parking lot,” Attorney Avi Segal wrote in an appeal. A little boy on a “settlement” playing on a field owned by Arabs. He uses a small stick to “dig” in the ground. Imagine the national press, the police presence, the ramifications. Now juxtapose that with the story above. Enough said.